So, you’re thinking about trading for Johnny Cueto, the unquestioned ace of the Cincinnati Reds. Interesting. First off, you’re a baseball team, yes? Good. Glad we got out of the way. If you’re anything other than a baseball team or a wig factory, trading for Johnny Cueto would be nonsense. 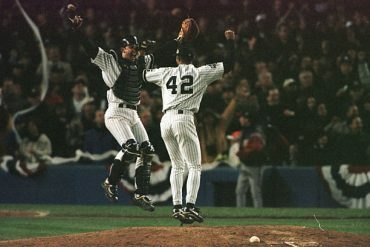 But let’s say you’re the New York Yankees. You’re right in the thick of the AL East and the entire American League is up for grabs. Your rotation hasn’t necessarily been a weakness, per se, but with two de facto “aces”, each with their own unique injury concern, and a semi-garbled yet strangely effective back end, adding a premium arm like Cueto seems like a joy. You’ve scouted him twice now, sources say. What are you thinking? Simply put, Johnny Cueto is incredibly good. If your concern surrounding a Cueto trade is that he might be ineffective, I would say that’s unlikely. Since truly finding his rhythm in 2010, Cueto has never posted an ERA about 3.00, tossing in the launching pad that is the Great American Ballpark (sidenote: the Home Run Derby should include 30 participants this July and I will accept no fewer. Get it done, Cashman.). He’s been well above league average in ERA+ since then, too. ERA+ is an adjusted ERA that allows us to judge exactly how dominant a pitcher has been, taking into context his era and the rest of the league. An ERA+ of “100” is by definition average, and Cueto, over the past five seasons (including an injury-marred 2013) has averaged 149, with a high of 171 (!). He’s not HR prone. The short porch is unlikely to be Cueto’s enemy. In his past four full seasons, he still has yet to average over a home run per nine innings, topping out at 0.9. And as I mentioned earlier, Great American, the Reds’ home park, has the same problem as Yankee Stadium. In fact, it’s worse. 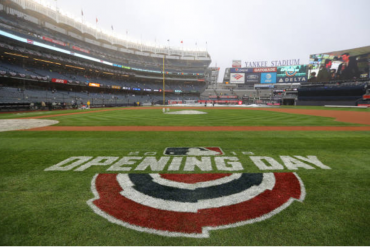 In terms of Park Factor, Great American has witnessed the second-highest ballpark home run rate this season, actually outranking Yankee Stadium, which sits in fourth. So, Cueto would be getting a dinger reprieve coming here. Kind of unbelievable. He’s not just a power pitcher. While Cueto does top out at 96, he’s as much a multi-pitch threat as there is in the league, accruing outs with his deceptiveness and pitch mix. 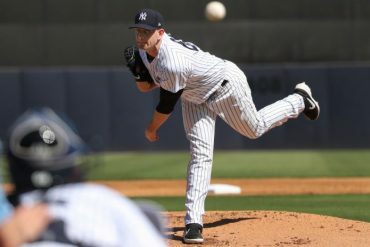 He throws a lot like Masahiro Tanaka; hitch mid-wind up (Cueto’s involves spinning his back to the batter, which visually I approve of) followed by any number of offerings for strikes and swings-and-misses. Cueto often goes with a hard change, diving sinker, or slider, and if he came to the Yankees, it would be very nice if he’d give even one of those to Nate Eovaldi. The Injury Concerns. There had to be a con. 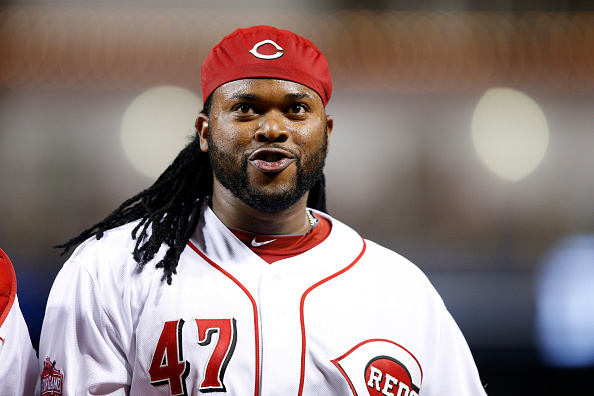 Cueto missed much of the 2013 season with recurring lat injuries and various woes, which limited him to only 11 starts. He had an elbow scare earlier this season, in fact, but has since returned “unscathed”. But do the Yankees really want to pay a premium for someone who’s already had a tender elbow checked out in 2015? I guess it depends on what your definition of a “premium” is. The Prospect Bounty. Cueto is desired by everyone. He’ll cost a pretty penny. Such is the world we live in. 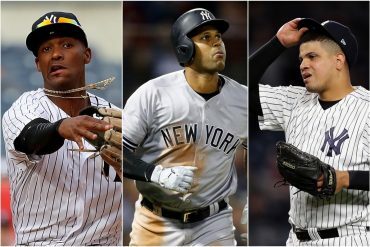 The Yankees will likely have to give up three premium commodities to acquire him, likely two top prospects and an MLB-ready piece (my money’s on an outfielder of the Ramon Flores/Mason Williams/Slade Heathcott variety). My question is, can they somehow negotiate around including OF Aaron Judge in the melange? For me, Judge is the lone organizational untouchable. 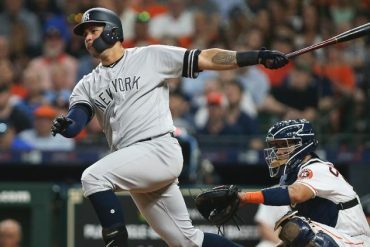 He’s a young, versatile power bat in RF, a commodity that any organization would envy, and the exact type of cornerstone player that other franchises possess/the Yankees covet (see Bryce Harper, Giancarlo Stanton). 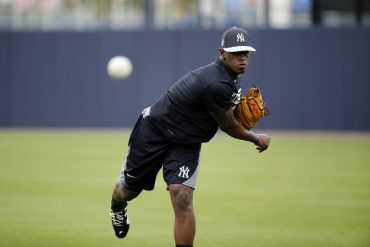 If the Yanks can build a sell-high package around Luis Severino (who’s been excellent at AAA but not quite all-world, and as we all know, pitching prospects are terrifying), I think they unequivocally should offer it. The temper. I’m not going to raise a “Can Cueto handle New York?” flag, because we have no indication he can’t. But the temper is there. St. Louis fans still haven’t forgiven him for kicking Jason LaRue in the head in an August 2010 brawl, leading LaRue to retire due to concussions. He’s volatile. It’s just intrinsically who he is. But sometimes, the most successful pitchers are. I’ve always been worried the Red Sox would find a way to acquire Cueto; he’s brash and dominant, with a Pedro Martinez streak in him. And, of course, there’s a chance they still can, either at the deadline if they get bold, or in the upcoming offseason as a Free Agent. And that’s why it would behoove the NYY to strike first, and indoctrinate the aggressive ace into the Yankee mold while they still can. For me, no one short of Judge is off-limits (and if Judge was in the package, I’m sure I’d begrudgingly accept it). Quite frankly, even in a walk year, Cueto’s too potent to pass on if the opportunity arises. There is no dominant team in the American League; bringing Cueto in would push any would-be potential contender right to the forefront. If they have to give up judge refsnyder or severino for it idk if its worth it. I don’t care about anyone else honestly.